Citing a source familiar with Apple's plans, Fast Company reports Apple intends to use Intel's 5G-capable 8161 modem in an iPhone slated for release in 2020. The handset will be Apple's first product to support the fast 5G standard, which was finalized earlier this year. Intel is developing the 8161 with a transition chip called the 8060, silicon that will be used to prototype and test 5G in iPhone, sources said. Of note, the 8161 will be fabricated using Intel's 10-nanometer process, fabrication technology that promises boosts in speed and efficiency. Originally expected to be ready for mass manufacturing in 2016, Intel's 10nm process has seen numerous setbacks as the company tackles production snags. Late last month, interim CEO Bob Swan said progress is being made toward volume production, but the long-delayed chip technology is unlikely to be ready until 2019. 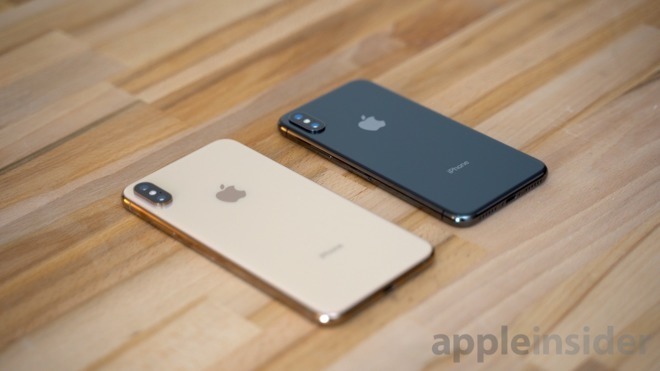 Intel is anticipated to remain Apple's sole baseband chip supplier when 5G does arrive on iPhone, though the tech giant has been "unhappy" with the chipmaker, the report says. Details were left unmentioned, though Fast Company speculates heat dissipation issues with the 8060 modem are to blame for strained relations. As explained by the source, carriers transitioning to 5G will initially rely on millimeter-wave spectrum, a technology that places a large amount of stress on cellular modems. The higher-than-normal processing requirements generate excess heat and detracts from handset battery life, issues with which Intel is grappling. While the problem Apple reportedly opened discussions with existing supplier MediaTek to furnish modem chips if Intel is unable to solve the problems. Just as 4G LTE is the current standard bearer in wireless communications technology, so will 5G see rapid adoption by handset makers in the coming years. Industry stalwart Qualcomm is reportedly pushing up production of its 5G-capable chipsets in anticipation of the first major smartphone releases in 2019. Apple is typically slow to adopt the fastest cellular standards in its iPhone line. The first iPhone, for example, launched without support for the then-cutting-edge 3G standard, while 4G LTE integration arrived somewhat late with iPhone 5 in 2012. A 5G-capable iPhone launch in 2020 should ramp well with existing infrastructure rollout plans. Carriers are only in the very early stages of seeding their respective networks with compatible base stations, and proliferation toward widespread availability will be slow going. For example, Verizon this month delivered 5G Home, a home broadband service touted as the world's first commercial 5G deployment.